Welcome back to this week's edition of the BEST Blog interview. Today I have the pleasure to introduce you to a relatively new member in our team: Katie Gonzalez of LinenLaidFelt. Hi Katie, nice to meet you! Where are you located? 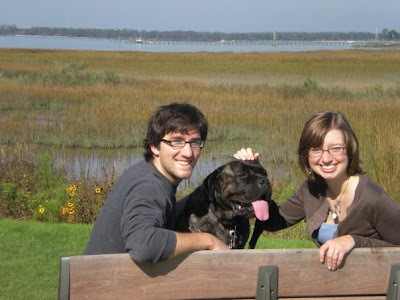 I currently live in the Shenandoah Valley of Virginia with my husband, Tony, and our dog, Riviera. We've been here for about two years, but we both grew up in Illinois and have lived in various places throughout the Midwest and Southeast. Are you a bookbinder by training? I attended the University of Georgia and majored in graphic design. However, because of the way the coursework is organized through the UGA art school, I was able to take tons of classes in all sorts of subjects. I studied photography, book arts, papermaking, letterpress, drawing, painting, and art history, in addition to the classes required for the graphic design program. You can see examples of some of my student work (including design, photography, book arts, and fine art) at www.kathryngarner.com, my old website that still lists my maiden name. In 2006, I studied abroad in Cortona, Italy (the city where "Under the Tuscan Sun" was filmed) and while I was there I took a book arts and papermaking class, in addition to painting and art history. I loved everything about my book arts class, and spent almost all of my free time in the studio making books. After returning from Italy, I took several other book arts classes in college and found ways to incorporate bookmaking into my other graphic design and printmaking classes as well. 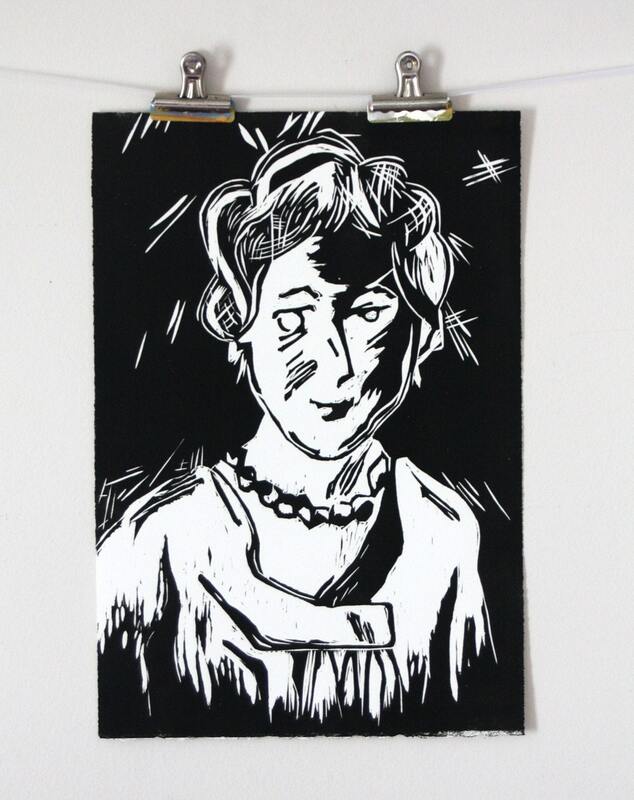 I just opened my Etsy shop in February, so the business side of bookmaking is new for me. 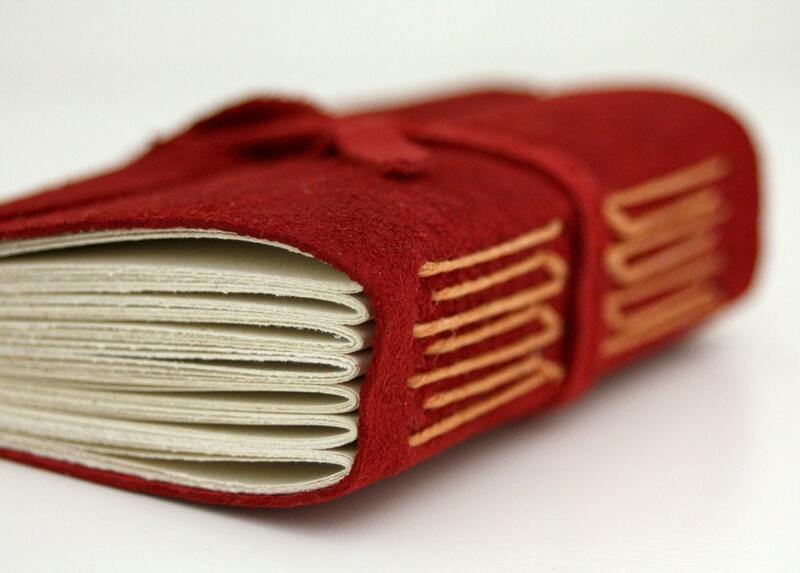 The main focus of my Etsy shop is my handmade books. My preferred binding methods are Coptic, Italian long stitch, and Japanese stab binding. Eventually, I would like to get back into making more sculptural books and books with content, in addition to blank journals. and I plan to add some handmade notecards and fabric items, like wine bottle gift bags made from upcycled shirt sleeves. I'm currently making five different custom books: a wedding guestbook, a vacation photo album, and a set of three journals for three sisters. You can visit my blog for posts about the works in progress, and check back soon to see photos of the final products. Is there a book that you made and that is special to you? 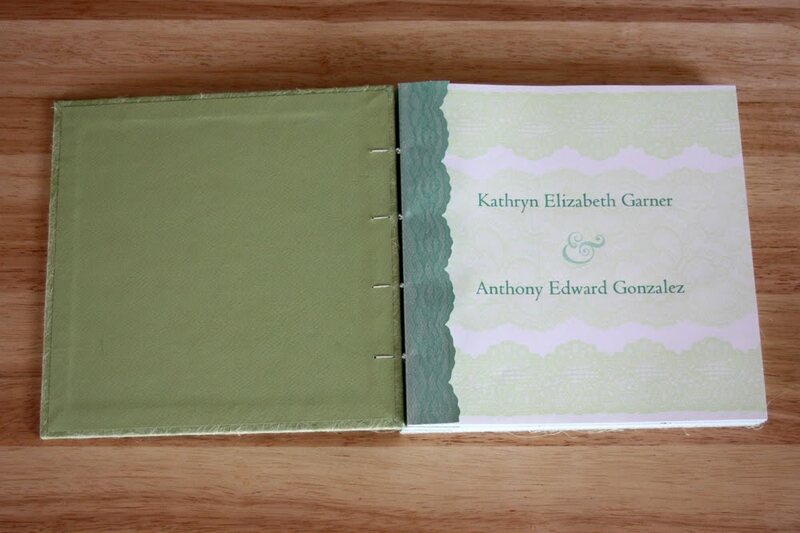 My favorite books that I've made are my wedding guestbook and my wedding invitations, which were actually little three-page handbound booklets, that I made for my July 2009 wedding. The wedding was hosted in a 1930s Art Deco movie theater in Charleston, SC, where large murals adorn the walls. Those murals inspired my illustrations for the invitations. The first page served as the invitation to my wedding. The second page invited guests to the rehearsal dinner. The bottom portion of the third page could be detached along the perforation and was used as the reply postcard. The designs were printed on a pearlescent paper with a linen texture. I taught Tony how to stitch the Japanese stab binding, and together we made 200 of these little books. I made my guestbook during a letterpress class that I took my last semester of college. I used a pressure printing technique to transfer a subtle lace pattern to each of the pages in different shades of blue and green. A more distinct lace pattern was used to decorate the first and last pages, on which I also printed our names and the colophon with handset type. I printed a lace pattern onto strips of darker green paper and then cut them out to make the decorative scalloped-edge guards. Is there another place where we can find you - we should link again to your shop, and to your blog, is there another site? Thank you, Katie, for letting us in behind the scenes of your shop! The pleasure was all mine. I hope to welcome you again at linenlaid & felt.